This year’s February 12th Union Day has come and gone, significantly without the signing of the Nationwide Ceasefire Accord (NCA) that President Thein Sein had so hoped for as his presidential legacy. 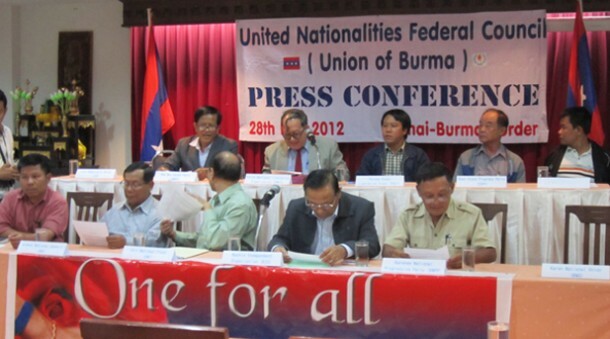 Instead, a face-saver Union Day pledge of sorts was signed by a “coalition of the willing” – 50 political parties and 4 ethnic armed groups. Nine of the 13 armed groups attending the event at the capital Naypyidaw, refused to sign. Even the signing was not without controversy as the Karen National Union (KNU) the most prominent of the 4 ethnic group signatories, came out with an official statement on February 16, that the signing of the “deed of commitment for peace and reconciliation” was not in accordance with the decision of the KNU Standing Committee, implying that the signing was a personal decision of its 2 representatives. Nai Hong Sar, Chairman of the Nationwide Ceasefire Coordination Team (NCCT), a coalition of 16 ethnic armed groups negotiating peace with the government, said most of its members declined to sign the pledge as it failed to address key outstanding issues, while adding that the NCCT would not sign an agreement that leaves out some of its members. The Kachin Independence Organization (KIO) was conspicuous by its absence at the Union Day event. Although not currently a ceasefire group, it is negotiating peace with the government as an NCCT member. It declined the government’s invitation in protest against the fighting that has intensified in its controlled areas in Kachin and northern Shan States despite agreements to de-escalate military tensions. The KIO was also awaiting assurance from the government that incidents like the November shelling of its training camp that killed 23 ethnic cadets would not happen again. 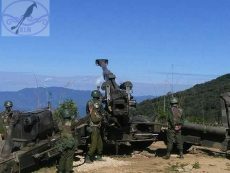 On other fronts, battles continue to rage in the Ta’ang National Liberation Army (TNLA) area and the Kokang region of the Myanmar National Democratic Alliance Army (MNDAA) in Shan State. The government, after initially suffering heavy losses, adopted a harsh stance against the MNDAA. The MNDAA’s offer to negotiate peace was rejected and martial law has been declared. The army has vowed it would do “whatever is necessary” to punish the MNDAA and other groups aiding them. The government is now suggesting that the Kokang are not a national ethnic group. This despite the fact that it was the generals themselves who created a “self-administration zone” for the Kokang, happily sharing in their narco profits, making it possible for thousands of newly arrived ethnic Chinese to gain citizenship and enjoy special privileges to set up legitimate businesses in Burma’s major cities, buying up prime real estate and edging out the locals. Old photos of the generals cozying up with Peng Jiasheng, the aged MNDAA leader now declared renegade, are surfacing on social media for all to see. There was a time when the peace process, first launched in 2011 in the midst of renewed fighting between government troops and the KIA, was hailed as the breakthrough that would bring an end to decades of civil war and for genuine political dialogue to ensue. But as the series of talks and negotiations progressed, despite periodic pronouncements that agreements have been reached, that the signing of the NCA was imminent, it became apparent that these sentiments were premature and over-optimistic. Government and NCCT positions remain poles apart, particularly on the minority goal of democratic federalism. Of late, President Thein Sein has been paying lip service, urging lawmakers to amend the constitution to reflect federal principles. Only the seriously deluded would believe that the army would let such a change come to pass, that it would willingly let go of the political control it has enjoyed for so long in the current centrally controlled unitary governing system. In fact, Army Chief Gen. Min Aung Hlaing had said explicitly in an interview with the Voice Of America that he has no desire to see Section 436 or 59(f) – which in effect gives non-elected military members of parliament the power to veto any constitutional amendment – changed. Recent sabre rattling by Min Aung Hlaing that the army is “afraid of no one,” that it “will not give in but fight on”, that its patience is running out, further seems to prove this point. Too often, it seems the President and the Army have played good cop-bad cop at the ethnic minorities’ expense. Too often, words of reconciliation and offers of peace and political rights have gone hand in hand with increased military attacks against ethnic positions. With so much rancor and distrust between the protagonists, it is only natural to wonder if Burma’s peace process is not in its death throes. Although the KIO insists it will continue to take part in the peace process, no future date has been set for talks, and it is anyone’s guess whether dialogue will take place or war will break out anew. Whatever the outcome, one thing is certain: that a ceasefire accord that does not guarantee the security and inherent rights of all of Burma’s ethnic nationalities is not worth the paper it is drawn on.